Multi-cap funds invest across different combinations of large-cap, mid-cap, and small-cap companies to achieve its fund’s objectives. Multi-cap funds allow the investor to derive considerable returns across sectors without the need for constant assessing the portfolio. Multi-cap funds are diversified equity funds that invest in companies of different market capitalizations like large-cap, mid-cap and small-cap. The capitalization of a company indicates its share of the market. Large-cap companies have a capitalization of more than Rs20,000cr, while the market capitalization of mid-cap companies lies between Rs5,000-Rs20,000cr. The market capitalization of small-cap companies is less than Rs5,000cr. Multi-cap funds invest across different combinations of large-cap, mid-cap, and small-cap companies to achieve its fund’s objectives. Multi-cap funds allow the investor to derive considerable returns across sectors without the need for constant assessing the portfolio. It is also suitable for an investor with moderate risk appetite. Multi-cap funds are a better source of long-term wealth creation as they have the advantage of sourcing returns across sectors, capitalizations and by riding the market trend. Multi-cap funds are also less risky when compared to equity funds of separate classes. These offer more returns than large-cap funds but lesser returns than mid-cap and small-cap funds. Multi-cap funds give freedom to an investment manager to invest across sectors that will fulfill the fund’s objective. It gives a wider scope for growth and asset allocation. It also gives the investor exposure across funds and the market. Multi-cap funds allow flexibility, which is more important to investors who are new to the market. The opportunities are in abundance for the new investors as the funds invest across market caps, with no restrictions. 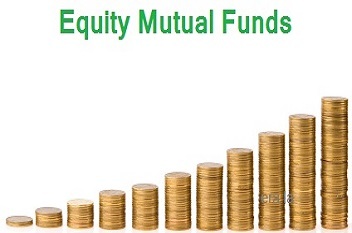 In the past few years, multi-cap funds have performed well and have generated considerable returns. The risk is quite less in multi-cap funds and can be easily mitigated during volatile markets. Many novice investors prefer multi-cap funds as it gives them a chance to learn about the market. The ups and downs of a sector fund or market cap size of stock do not affect a multi-cap fund. They are the risk regulators in wealth creation. Corrections and changing market trends can make a harmful impact on equity fund stocks. Multi-cap funds help investors thwart these risks as they find growth opportunities in the market. Multi-cap funds can benefit from positive changes in the market and can decrease the negative impact of the bear market. Instead of investing in multiple stocks, the investor can invest in multi-cap funds to take advantage of different stocks. However, they also come with risks as it invests across sectors. Having a lesser number of stocks in a portfolio with diversification is a better choice. Bottom line: Nowadays, mutual funds are becoming a preferred choice for investments as they are adept at providing better returns than the traditional form of investments. When investing in the market, it is prudent not to put all the eggs in one basket. The investor can invest in large-cap, mid-cap, small-cap, multi-cap funds with debt and other instruments to mitigate the risk and diversify their investments. Multi-cap funds alleviate the need for investors to invest across sectors and capitalizations and it is also suitable for investors who are not aware of their risk appetite or can handle moderate risks. Multi-cap funds are a good way for new investors to start their investment journey and learn about the markets.